Xyntek-Antares Featured In PACK EXPO Edition of Healthcare Packaging Magazine! 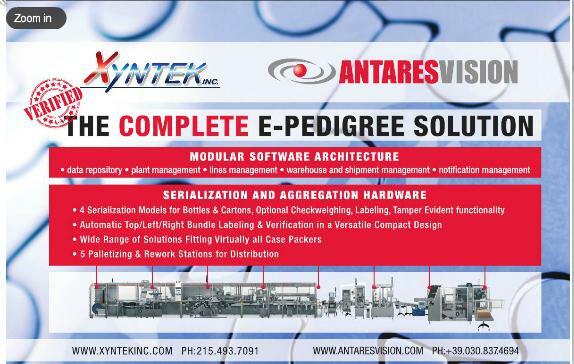 - Xyntek Inc.
We are pleased to announce that the Xyntek-Antares turnkey serialization solution has been featured in the PACK EXPO edition of Healthcare Packaging Magazine! To read the article and to check out our ad promoting our participation in PACK EXPO, please click on the following link. You can find us on pages 15 and 89! 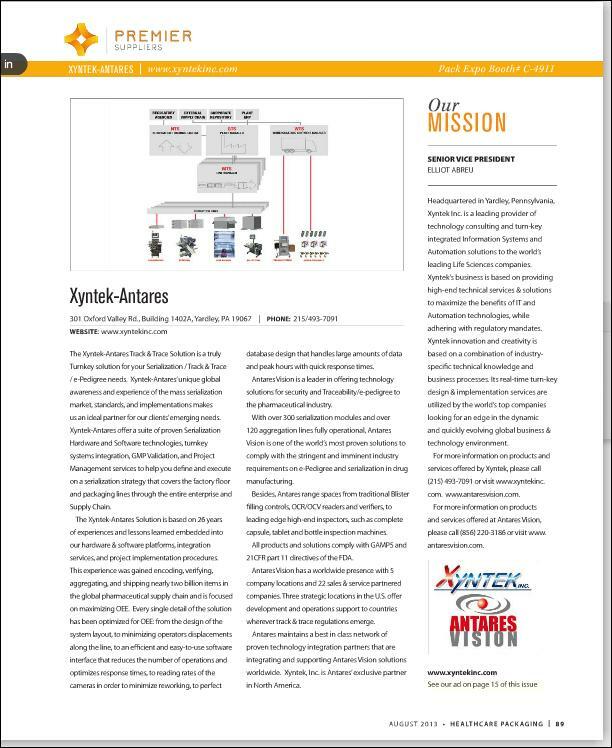 Xyntek Antares Featured In Pack Expo Edition Of Healthcare Packaging Magazine!